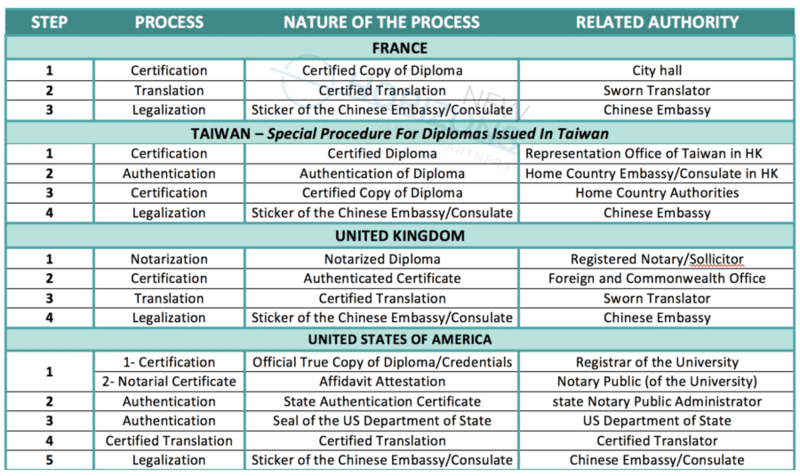 Before being able to apply for a Work Visa (“Z-Visa”) at a Chinese embassy abroad, applicants shall first get the Notification Letter for Foreigner’s Work Permit (“Notification Letter”), which is the official Letter from the Chinese authorities stating that an applicant has been approved to work in China. To be granted the Notification Letter, the employer has to apply first by providing the required documentation to a local Labor Bureau. It took approximately 3-4 weeks to obtain the Notification Letter. Then, applicants may apply for a Work Visa at the Chinese embassy in their home country. After getting the Z-Visa, applicants may enter in China. They would have to undertake a medical examination and to register their residence at the local police station. Then, the 2 last steps would be to replace the Z-Visa with a working-purpose Residence Permit and to apply for Work Permit. 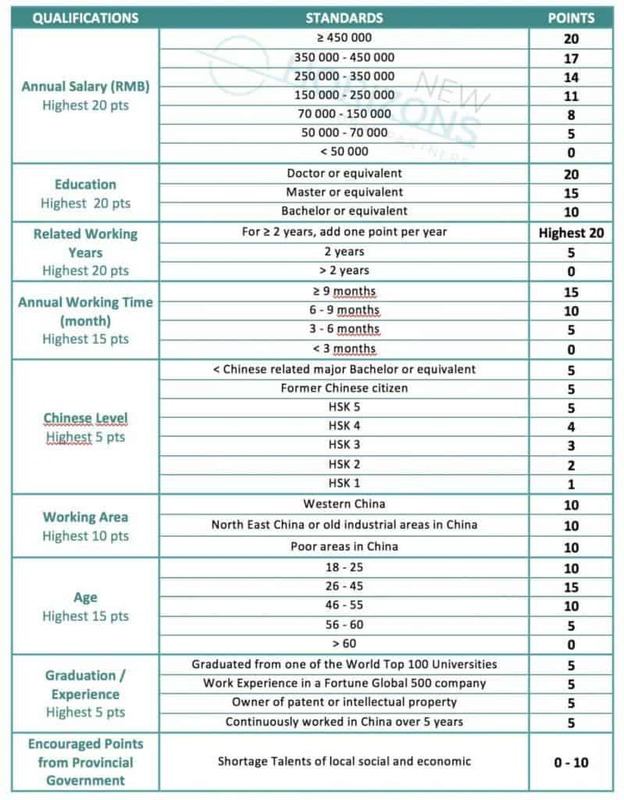 For applicants who are already in China and wishing to get a Work Permit in tier-1 city, it is possible to apply directly for the Work Permit by submitting all the required documentation to the local Labor Bureau. When the Work Permit would be issued, applicants will then have to apply for a working-purpose Residence Permit (in tier-1 cities, it is possible to convert a Tourist Visa, a Business Visa and a Study Visa into a residence Permit – applicants can hence avoid having to go back to their home countries to apply for a Work Visa and then come back again in China). The exact list of documents to submit to the Chinese authorities depends on each case. Applicants that do not score at least 60 points cannot be granted a Work Permit through the points system.